South Korean electronic company, Samsung, has rolled out its mobile payment platform, Samsung Pay, feature for Indian Customers. Samsung's customers from India can now use Samsung Pay. The company has become the first company to bring mobile based payment system to India before Apple Pay or Android Pay will start serving Indian customers. Samsung started early access registrations on the Samsung Pay Website and users are now getting access to the service. Initially the service is available with limited banks including Axis Bank, HDFC Bank, ICICI Bank, SBI and Standard Chartered with both credit and debit cards. The company will soon start supporting for more banks including Citibank and American Express and also offering payments via Paytm wallet. 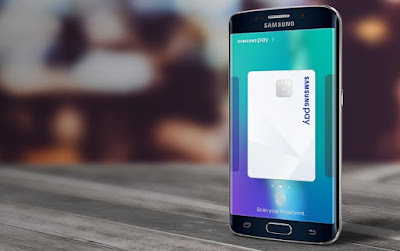 According to Samsung, devices that will support Samsung Pay are as Samsung Galaxy Note 5, Samsung Galaxy S7, Samsung Galaxy S7 Edge, Samsung Galaxy S6 Edge+, Samsung Galaxy A7 (2016), Samsung Galaxy A5 (2016) and also newly launched Galaxy A7 (2017) and Galaxy A5 (2017). Samsung Pay in India supports Magnetic Secure Transmission by which user can send a magnetic signal from compatible smartphones to payment terminal card reader. It also support for NFC but there are very less places in India that offer NFC payment solution.